William Mason is one of the oldest known U.S. born ancestor of this Mason line. He is the son of Henry and Elizabeth Minson. William was born about 1770 in Virginia and died about 1840 in Fairfield County, Ohio. At some point, the spelling of William's surname changed from "Minson" to "Mason". It is presumed that the change happened after William moved to Ohio since his wife, Prudence Truman, is buried under the name "Minson". 1st - Elizabeth Lawrence (1770-1795) - 16 Apr 1788 in Henrico County, Virginia. 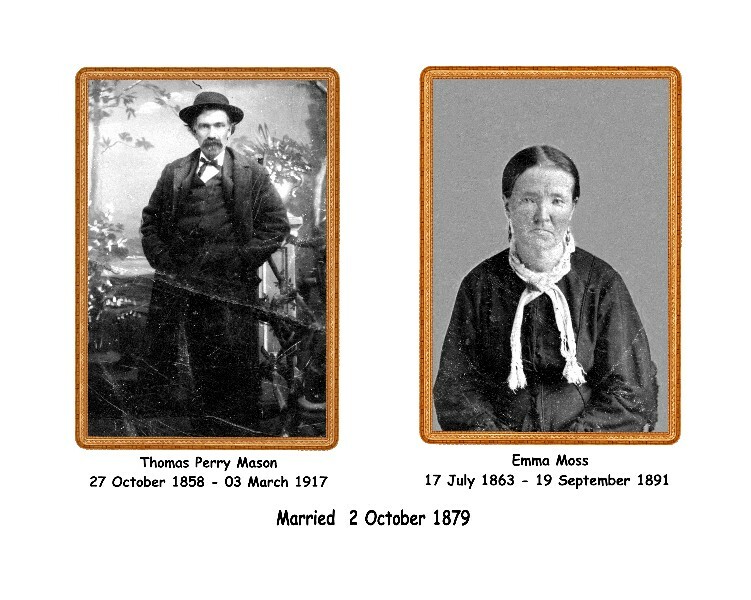 Robert Howard Mason married Susannah Brauneller, daughter of Samuel James Brauneller and Catherine Crist, on 25 Jun 1846 in Fairfield County, Ohio.